Our keychains are lovingly handmade and also match our line of collars and leashes! 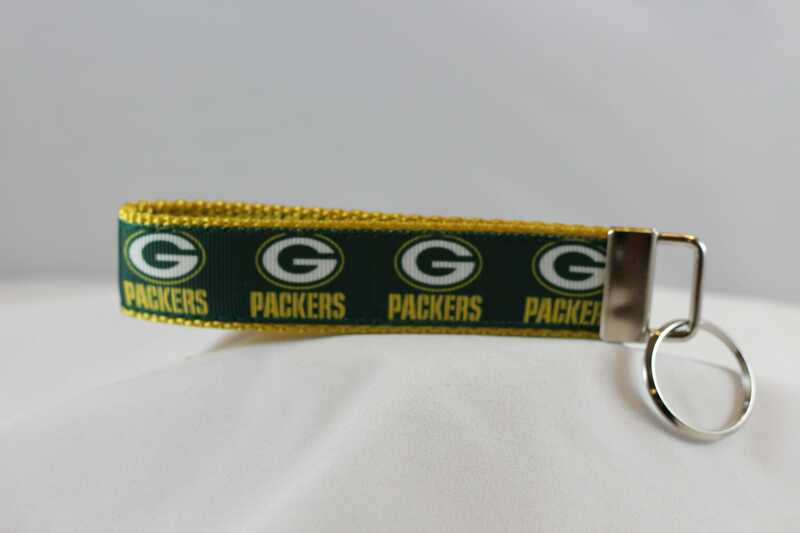 The ribbon is securely sewn onto sturdy nylon webbing and then finished with key fob and split ring. Keychain care: Hand washing in cold water is recommended and then lay flat to dry. Each keychain is individually made in a smoke free, but not pet free environment.